We worked with Rachel, Ian, and Noman while purchasing a new Rav 4. Rachel L. truly knows the vehicles inside and out and was able to answer any question that came up. She was straight forward and honest with us, which was refreshing. Ian & Noman were kind and personable and really worked with us on price. What a great experience--buying a car!!! That's not a thing I've EVER said before...My previous experiences include those with the stereotyped car salesman who are pushy and not very trustworthy. But JAMIE Shay at Wilde Toyota was the antithesis of that! Jamie shared some of his wealth of knowledge about the process, was willing to really listen to what we had to say, was not a bit pushy--instead was patient with us. He did all he could to satisfy us and make sure we were happy. I felt that Jamie was trustworthy and honest. This is the kind of guy I ALWAYS want to buy a car from!!! Got a new Rav 4! Unbeatable prices here. Very exceptional costumer service! My sales person was osama and sales manager Ian were great! I recommend everyone to check them out! My husband and I drove 150 miles to Wilde Toyota to look at a car we saw online. We got there and found out that it was sold on Saturday. Tony Chan-Yaj was the Sales Consultant that helped us. We told him our price range , what year we wanted, with low mileage, and good gas mileage. We knew it was a huge challenge for him. He surprised us with several options!!! We took a couple cars for a test drive and chose a 2017 Ford Fiesta. He made the process of buying a car painless. What an awesome Salesman and person he is. Tony is definitely an asset to Wilde Toyota organization.Thank you Tony for a GREAT car buying experience!!! Brandon R. just takes my keys and fixes all my problems. 10/10 would take my truck there for service again. We had the pleasure of working with Rachel, Ian, and Noman while purchasing a new Rav 4. Rachel was an expert on the vehicle and was able to answer every question we had. She was very straight forward and honest with us. Rachel, Ian, and Noman were all very kind and personable and we will definitely be recommending them in the future! David Olguin is the best! Every time I go to Toyota he never disappoints. He always is attentive and takes care of my car well even gives my car washes. Great employee and representative in Toyota! Working with Jim Blake was amazing. I know what it’s like to work with some salespeople who look at and treat you like you’re stupid. It’s frustrating and humiliating to say the least. Jim actually listened to me and didn’t push me into anything I didn’t want. I worked with Tony Chan-Yaj and he made the car buying experience most enjoyable. His knowledge, honesty, and customer centered focus help to make him a true professional. I know I will look forward to working with him again in the future. Kenny Anderson was great to work with. He explained the car before we test drove it. He also took the time after the purchase to go thru the options. We got our 2011 Toyota Camry serviced today with the help from David Olguin. He was very professional and friendly. Experience a whole new category. It’s not new, it’s not used – It’s a special category in between. Find out what makes Toyota Certified vehicles so extraordinary. Milwaukee’s Wilde Toyota in West Allis brings you a great selection of new Toyota cars and used car sales. We also staff the best mechanics in Milwaukee to offer professional auto repair in the Milwaukee area. We also publish money-saving service coupons, because we understand that keeping a car maintained can sometimes be expensive. Conveniently located in West Allis since 1977, we service the greater Milwaukee area including Greenfield, Racine and Glendale. 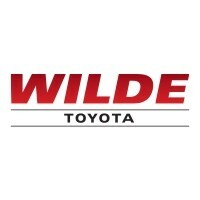 Since 1977 Wilde Toyota has operated in the same area, invested in our community, and earned the reputation of excellence that keeps our customers coming back. We decided to do away with the high-pressure sales tactics and gimmicks. We wanted to focus on becoming the best car dealer in Milwaukee by offering a tremendous customer experience. That starts with our massive Toyota Inventory. Wilde Toyota is Milwaukee’s #1 volume Toyota dealer for new Toyotas. By stocking our lot with over 700 Toyota Models we allow our customers to choose their dream car. When you’ve found what you’re looking for, choosing from our financing options is easy and affordable. By searching our Milwaukee Toyota Inventory you can find any Toyota make or model, schedule a test drive, and request a quote! Milwaukee’s #1 Volume Toyota Certified Used Vehicle dealer. Our Certified Pre-Owned Toyotas have gone through a rigorous 160-point inspection, and a CARFAX vehicle history report is reviewed to make sure only the best vehicles make it onto the show floor for purchase. We also serve as a Milwaukee Car Dealership offering used car specials. Our Milwaukee Used Cars are always priced competetively and are available to view on our website, or in person! Wilde Toyota boasts some of the most highly-qualified, factory-trained mechanics in Milwaukee so we may provide exceptional service for your Toyota. Our Auto Repair Center is consistently stocked with a large variety of Toyota parts and accessories so we can get you back on the road as soon as possible. From oil changes to transmission replacements, we are dedicated to maintaining top tier customer service, for both new and used car buyers. We also offer monthly Auto Repair Service Coupons to our customers to keep costs as low as possible. Use our Online Service Appointment page to set up an appointment with the best mechanics in Milwaukee! We look forward to serving your automotive needs and hope you choose Wilde Toyota for your next Toyota or used car purchase in Milwaukee.